Patchwork rug made from vintage and antique Turkish hand-knotted rugs sewn together and overdyed. These have been cut in smaller pieces and sewn together in new designs and sizes. Colours and designs are harmonic and specially chosen. A backside has been sewn on. Patchworks are produced of rugs that are between 50 and 70 years old. It is backed with cotton cloth as reinforcement. 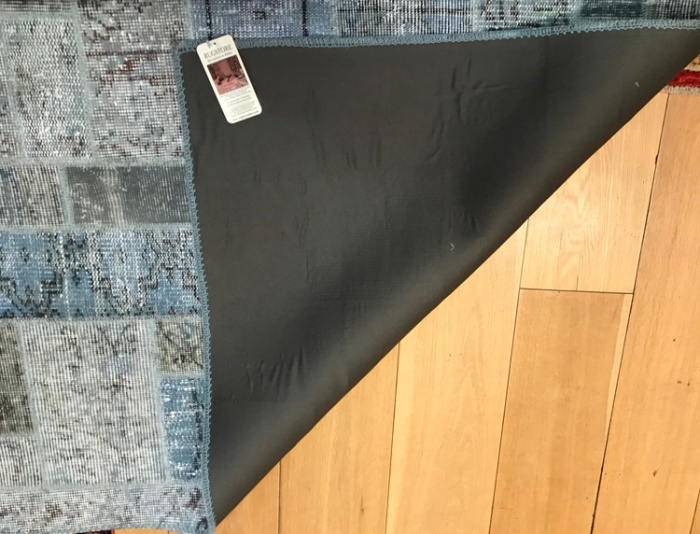 Overdyed Patchwork Rugs be made to measure in any size, to ensure they fit perfectly into the space you have. Enter the dimensions and we'll give you an instant quote. We try to adjust the photos as accurately as possible however colours in rugs may vary due to differences in monitor settings.